“It’s the year 1962,” Chrístõ said as his students gathered around him. “Lorcan, close the door if you’re the last one out, please.” Lorcan did so. “And Liverpool in 1962 is significant in the history of Earth culture?” asked Carlo Dennis. The students looked at each other and grinned as widely as their teacher. This had already been an awesome field trip. Chrístõ’s idea of researching Earth culture for their class project had so far included Puccini’s Turandot in Bejing, the premiere of a film called Star Wars at the Chinese Theatre in Los Angeles, a huge concert called ‘Live Aid’, the opening and closing ceremonies of the 2012 Olympics in London, and something called the Eurovision Song Contest, at a theatre in Dublin, the highlight of which had been a performance called Riverdance that took their breaths away. 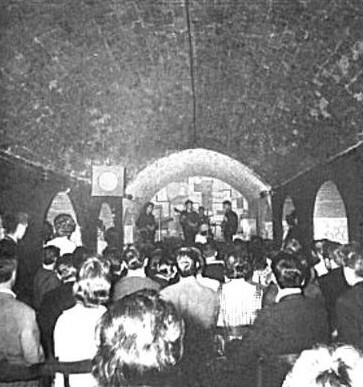 They still had to go to see Shakespeare at the original Globe Theatre, the first performance of Handel’s Messiah – back in Dublin again – the 1966 World Cup football final, and the premiere of Tchaikovsky’s Nutcracker in 1892, as well as the opening of the Tutankhamun exhibition at the British Museum in 1972. Chrístõ led his crowd of young people along the Liverpool streets. Julia noted that it was a lot less colourful in these days than she knew it. The shops seemed smaller and the window displays not so bright. But it was still the same city she had visited very often. They turned down a narrow back street and Julia glanced at the name – Mathew Street. And she realised exactly where Chrístõ was taking them. 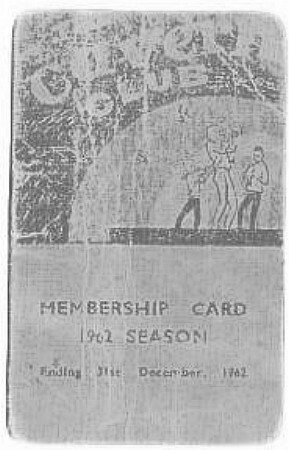 “You’ll all need these,” he said, handing out small printed cards that proclaimed them all members of the 1962 season at the Cavern Club. Those in the know all got very excited. The others asked their friends what was so important and then got excited, too. They all readily agreed. He thought there probably wouldn’t be much problem, anyway. They were all dressed in suitable period clothes. The wardrobe had provided for each of their trips. This time the boys were in shirts and ties with jackets over them. The girls were in A-line skirts and tops or hip hugger slacks with wide belts. Julia looked especially impressive in her slacks and jumper with her hair in a pony tail with a flower stuck into it. Like the other girls she was wearing quite a lot more make up than she usually would. Eyeliner and mascara was heavy. It made her look older. They would get away with it. But he intended to get her to wash her face as soon as they were back in the TARDIS. He, of course, was in his usual black slacks, black shirt and his leather jacket that was so much his trademark look. He would pass for a trendy 1960s guy easily. They all passed for bone fide members of the club and got in to the lunchtime music session. Once inside, the noise and the crowds were a little bewildering to them all, but they were caught up in the excitement of just being there. They managed to get close to the front, where they could see the stage. There was a supporting act on and people were dancing in a clear space in front. But Chrístõ told everyone to just stand where they were and be prepared to move forward and fill that space once the main act came on. He himself fought his way to the bar and got glass bottles of cola with straws and crisps for everyone, which the staff kindly put into an old beer crate for him. He got back just in time. The support act finished and the dance floor cleared. There was a sense of the crowd behind them getting bigger and tighter. They moved forward until they were close up to the stage. Chrístõ told the boys to stand behind the girls, to make sure they weren’t pushed too hard. He himself made sure Julia was in front of him. Gretta and Clara, the youngest and most petite of them all were within his protection, too. There was a roar of excitement as the main act came on stage. Chrístõ found himself joining in with the cheer, carried along with the excitement as the Beatles began to perform. They were rising stars with a huge following and their first record in the national top twenty. Everyone wanted to see them. They had always been his favourites. Maybe it was because his mother came from Merseyside. It was in his blood - that part of him that wasn’t Gallifreyan. If that was so, then that fraction of his being was overriding his Time Lord existence right now. And he felt wonderful. “Chrístõ! You’re really into this, aren’t you,” Geoffrey Walker said to him telepathically. He was standing next to him, but conversation was impossible any other way. The rest of the students seemed to agree. He knew Julia was enjoying herself even though he couldn’t communicate telepathically with her. She was moving her body in time to the music, pressed against him as she was. He felt her joy transmitted through her body. Later, he wondered if he was too absorbed in the music. He should have been the one who spotted the jarring note in the Cavern. Somebody who wasn’t there for the music. It was Archie Joyce who drew his attention to the problem. “I can feel it, too,” Noreen Massey told him before everyone else crowded into his mind. He hushed them and felt carefully, trying to pinpoint the dark soul among all the bright ones around him. Then he spotted him, moving through the crowd, a small figure, no taller than young Clara. He was bald headed and had narrow eyes, almost oriental. “No, he’s not,” Chrístõ replied. “Hush, all of you. Let me concentrate. He closed his eyes and put all his consciousness into doing something he knew he could do, but had never done except under the supervision of his tutors at the Prydonian Academy. It was much more complicated than a time fold. He needed to actually freeze time all around him, throughout the building, maybe even outside for a short time. It would make his head ache for a while, but it was the only thing he could do to prevent what was about to happen and allow him to apprehend the culprit. He did it. The second verse of Love Me Do was cut off absolutely. The excited voices of fans singing along, weeping for joy, crying out in delight, ceased. On stage, the Beatles looked like their waxwork models. Everyone was frozen in a single moment. Except for Chrístõ and his students – travelling in the TARDIS made them immune to a time freeze – and the bald man with grievous mischief on his mind. He was the only one making any sound right now. The students were all too stunned by what was happening to speak. His anguished cry filled the air, replacing all the usual noises. Then even that was cut off as three of the boys, Archie, Rudie and Dennis, grabbed him and pushed him to the ground. His weapon flew across the floor. Gretta Lovell ducked and grabbed it from between the feet of the frozen music lovers. “Let me have that,” Chrístõ said to her. “It’s a very dangerous weapon.” He looked around the room and then walked to a bucket full of sand by the fire door at the side of the stage. He pushed the barrel of the weapon into it and then adjusted his sonic screwdriver to laser mode. The weapon glowed red and there were sparks and a small explosion inside. He waited a few seconds for it to cool and then picked it up and stuffed it into his pocket. Then he turned and looked at the would-be assassin as the boys pushed him towards Chrístõ. With that he pushed his prisoner towards the fire door. He opened it one handed and stepped out into the dark. Archie and Dennis closed it behind him before doing as he said. He got his bearings in the alley behind the club and then headed back to where he had left the TARDIS. He was gratified to note that his freeze extended all the way up North John Street, with pedestrians, motorists, a stray dog, all oblivious to him slipping past them. He did as Chrístõ demanded. He was too weak to argue. Chrístõ reached the TARDIS and opened it just as time snapped back to normal. He pushed his prisoner in first and closed the door. As soon as they were inside, the Time Rogue began to screech as if it was in extreme agony. Chrístõ knew why. The time freeze had weakened it, but now, inside the TARDIS, it was in a time neutral environment. It belonged in no time and no place. And for the Time Rogue it was the equivalent of taking a fish out of water and watching it die on the riverside. Chrístõ wasn’t that cruel even to something that his own people regarded as the scum of the universe. He left it writhing in agony and went to the console. He adjusted a setting and pressed the button that activated the stasis field. It enveloped the Time Rogue. It stopped screaming. It was in suspended animation. Nothing could hurt it and it couldn’t hurt anyone else. “That’ll do for now,” he said to himself as he moved around the console and put a videophone call through to Gallifrey. Chrístõ knew what was going to happen, though he had never seen it done before. He was ready to be impressed. And it was impressive. He watched as a beam of light infused with Artron energy shone down from the ceiling of his console room, enveloping the stasis bound Time Rogue. He watched as the creature dematerialised and the beam faded. A thinner version of the same cross-dimensional beam shone down on his console. When it faded there was a memory wafer sitting there. He took it and slotted it into his database computer. Hext closed the call just as the TARDIS doors were flung open. Julia was the first of the crowd to run in. She gave him the carrier bag with a huge smile on her face. He took out the contents and smiled to see a mint condition 1962 copy of Love Me Do by The Beatles on 45 rpm vinyl. 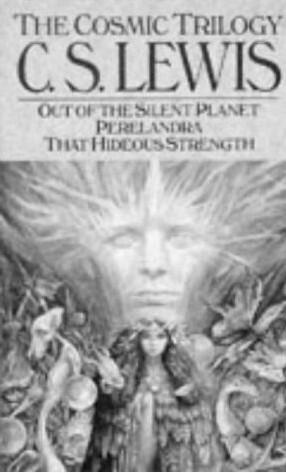 The original cover was autographed by all four members of the band. Gretta Lovell’s grin was nearly as wide as Julia’s. Both had managed to get close up to the band afterwards. She had their autographs on the collar of her blouse and asked Chrístõ if she could keep it, since it came from the TARDIS wardrobe. They looked at him and their excitement died a little. They quietly went to the kitchen and found sandwiches and orange juice and returned to the console room. There weren’t enough seats for them all, but they sat cross-legged on the floor. Chrístõ sat with them. “You mean, kill him?” Carlo asked as the girls all gasped in dismay. They all looked at each other. Julia moved closer to Chrístõ and put her hand in his. She was with him. The others, as one, agreed that they were prepared to go along with him. Chrístõ was a little surprised when all fifteen of his students arrived back in the console room dressed in school uniforms. The colour scheme of purple and grey was much like the uniform at their own school, but the style was fitted to Earth in the 1950s. The boys were in v-necked woollen jumpers and neat shirts and ties with black laced shoes. The girls were in calf length skirts, blouses and cardigans with patent leather shoes. They had all washed off their make up and looked their proper ages again. Chrístõ himself was in a black suit with shirt and tie. He had cufflinks and collar studs and a tie pin. Julia smiled. They were in Oxford, a city that Chrístõ found strangely familiar, though it was his first visit. It reminded him so much of the Prydonian Academy. He brought his charges to the New Theatre, which by 1956 was starting to look a lot less new, but was still an elegant building. He was quite excited about this temporal location. And it fitted quite well into the Earth Culture project, anyway. But for the fact that he was hunting a Time Rogue he would have been quite content. His students were excited, too, when they found out what they were coming to see. They sat in two rows at the front of the auditorium looking like very well-behaved young people of the era. They listened attentively to the eminent writer and academic Mr Clive Staples Lewis talking about his most famous works, The Chronicles of Narnia, with a slide show of colour illustrations and recitation of passages from the books. Chrístõ smiled as he remembered reading those books for himself as a boy. There was a complete set in the White Library in their home on Gallifrey. The White Library was part of his mother’s own suite of rooms where she spent her days when she was the young wife of the Magister of the Southern Continent. Her drawing room became Chrístõ’s school room. Her library had satisfied his lust for learning before he moved on to the harder books in his father’s library. 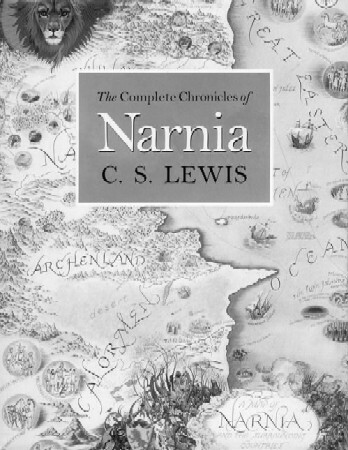 Narnia had been a favourite of his boyhood. But he had other reasons for admiring Lewis and he hoped to have a chance of talking to him later, after he had dealt with the Time Rogue that wanted to remove him from existence. He wasn’t so engrossed that he was careless. This time he was ready. He felt the presence of the creature before he noticed a short figure sneaking down the side aisle behind the long curtains that covered the wall and helped with the acoustics in the auditorium. He rose quietly from his seat and slipped up the aisle. He pulled the curtain across to reveal the bald-headed creature. It was surprised to be caught and the split second he had before the Time Rogue could react was more than enough. He reached out one arm and flipped the creature to the ground. He had expected to need to restrain him, but there was an actinic flash of light and it disappeared. For a moment, he thought it had evaded him, somehow. Then he realised what had happened. The creature had fallen on its own weapon. It had discharged. The Time Rogue erased itself from history. Which was all well and good, he thought. One down, two more to go. He looked around. Nobody else in the auditorium, apart from his time immune students, would have known anything had happened. 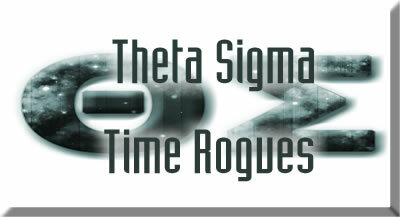 The Time Rogue was erased from history. He was never there. Everybody except the eminent man on stage. He looked at Chrístõ with a puzzled expression. He never once lost track of his lecture, but he was no longer looking at his notes on the podium. He watched Chrístõ as he came back down the aisle and took his seat with his students. The sensible thing would be to leave as soon as the lecture was over and let Mr Lewis puzzle over what he saw. But Chrístõ was not in a mood to be sensible in that way, and his students wanted to meet the great man. He did, too, but he thought he should bide his time. He sat in his seat in the slowly emptying auditorium and watched as his young charges lined up to get autographs from one of their favourite authors. As the last of them went away happy, Mr Lewis looked directly at Chrístõ and beckoned to him. He stood and approached the desk where Lewis had been signing books and papers and talking to his appreciative fans. “I’d be more than satisfied if…” Chrístõ reached into the inside pocket of his jacket and pulled out a thick paperback book. Lewis took it from him and his eyes widened in surprise. He opened it at the title page and noted that the imprint was in the year 2396. “The Cosmic Trilogy?” Lewis smiled as he looked at the anthology edition of the three books he had written before his more enduring best selling series for children. “Indeed?” Lewis looked at him for a long time, perhaps wondering if he was being wound up. But he saw in Chrístõ’s face no trace of deceit. He nodded and smiled and asked his name. Chrístõ told him. That, too, made him smile. He wrote a dedication on the title page and gave it to him. Chrístõ read it and was more than satisfied. “My thanks to you,” Chrístõ replied as he turned and walked away. Lewis watched him and his students as they left the auditorium and then, having nothing else to do, he followed them. He saw them in the foyer passing through a door he knew shouldn’t be there. It looked rather like a wardrobe, which didn’t surprise him at all by now. He crossed the foyer quickly and caught the door as the last boy passed through. The boy looked startled and called out to his young teacher. “I can’t let you come in here, sir,” Chrístõ said, coming to the doorway. “In your world, too, a stable once had something inside it that was bigger than your whole world,” Chrístõ replied. Lewis said nothing. He nodded in understanding and stepped back. The door closed and the eminent fantasy author was not at all surprised when the wardrobe vanished leaving a blank wall. “Where next, Chrístõ?” his students asked. He looked at the database and smiled. And a colourful lot they were as Chrístõ led them along the beautifully laid out paths between fragrant flower beds in the lee of the Great Palm House. He selected a place for them all to sit and eat their picnic. His students enjoyed themselves. The clothes they had to wear were strange, but that only added to the game of it. And even the eldest of them, at nearly seventeen, found dressing up fun. For a while, even Chrístõ relaxed and enjoyed the sunshine. 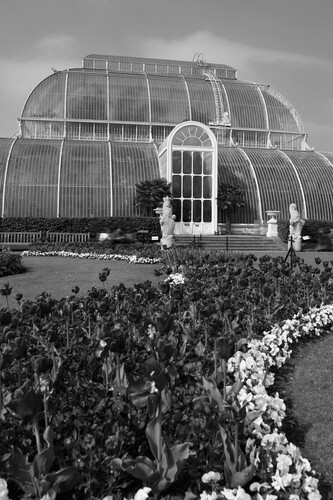 “Can we go inside the Palm House?” Gretta asked him. The first attempt didn’t quite work. Not on the Time Rogue, anyway. It did uproot the laburnum and deposit it several yards to the left. The Time Rogue was surprised by the sudden disappearance of his cover, though, and that gave them the chance to get it right. This time the bald little man was forced to walk backwards, against his will, towards what appeared to be a small wooden toolshed. Chrístõ reached the door before him and unlocked it as the students kept up their concentration. As soon as the TARDIS door was closed, of course, the Time Rogue was affected by the neutral time within the console room. Chrístõ took his weapon from him and put it in his pocket before he initiated the stasis beam and then called Hext. Hext was two hundred and fifty million light years away, but he could read enough in that simple reply to understand Chrístõ was unhappy about the last part of his mission. Chrístõ acknowledged him and closed the communication. He went outside and looked at his students, happily enjoying the sunshine, congratulating themselves on their successful capture of the Time Rogue. He noted two people who were walking along the path near to them - two middle aged men in Victorian summer clothes. Chrístõ drew closer and listened to their conversation. He recognised one of the men. He was Charles Darwin, the great thinker of his generation who revolutionised humanity’s perception of itself – though not without a struggle. He seemed to be having a struggle with that very problem right now as he talked with the other man about the forthcoming publication of his book. Quite right, Chrístõ thought as he looked at his students. They were a step on the evolutionary ladder that Darwin couldn’t even begin to imagine. Chrístõ smiled at the idea of his students being compared to Darwin’s finches that clinched his theory of evolution when he observed how they were so well adapted to their different environments. Darwin smiled benevolently at the ‘children’. Henry shook his head sadly and patted his friend on the shoulder before walking away. Darwin stood on the path, still watching the students thoughtfully. “How long?” he asked, looking into Chrístõ’s eyes and seeing something more than the callow youth he seemed to be. Darwin nodded gravely. He understood. He didn’t quite know how somebody could tell him that with such certainty, but he understood. He looked around again, at the young people at their picnic, at the Palm House, glinting in the sunshine, at a toolshed he didn’t remember seeing before. Then he walked on. Chrístõ called his students to him. They packed up their picnic and came with him as he took them into the Palm House for a thoroughly enjoyably and educational afternoon. He enjoyed it, too, though from time to time his concerns about the next part of his mission marred his experience. He knew the others were all waiting for his reply. He knew they had half guessed anyway. He had been aware of that danger all along, though. It wasn’t the problem. But he couldn’t tell any of them what really troubled him. He was just going to have to find a way to deal with it himself. At least he could put it off for a little while. They had the afternoon in Kew Gardens, then tea, and since they’d had quite a long day already at that point he sent everyone to bed for a few hours while he cleared his mind and allowed himself a period of deep meditation. After that, though, he had no further excuses. Procrastination was a deadly sin to a Time Lord. He had to get on with the job. He programmed the co-ordinate and got ready for the new destination. She wanted to be with him. He knew that. He had hoped she would go with Gretta and Noreen, who she was friends with. But she obviously wanted to stay with him. 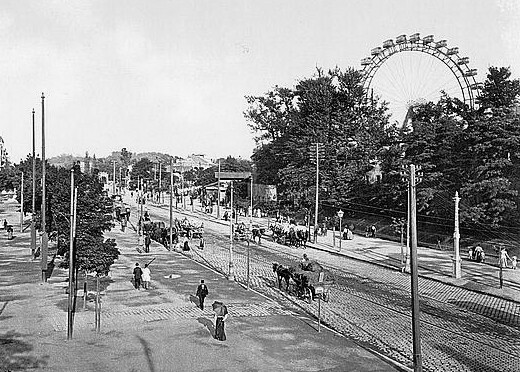 “Maybe we’ll be finished quickly and then we can do the fun stuff,” she suggested as the others headed off towards the sideshows and carousel, saving the Reisenrad for later. 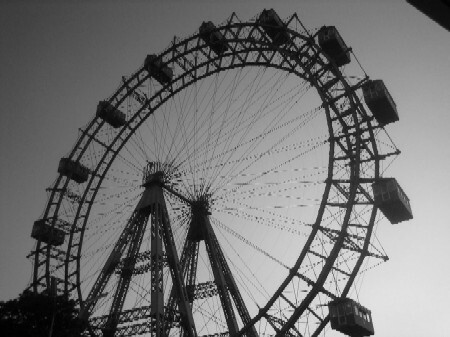 He took hold of her arm and they walked slowly, looking at the fair and the people in turn of the century Austrian dress, the men in lederhosen and the women in dirndl dresses or tight waisted wide skirts and full-sleeved blouses. Julia was wearing a pretty variation of the dirndl, as were all of the girls. But Chrístõ refused to wear lederhosen and settled for a generic suit and tie. It was a warm night, and he would have liked to have carried the jacket, but he had the time eraser gun he took from the Time Rogue in Kew Gardens in his pocket. He stopped talking. He grasped Julia’s hand tightly and edged towards a stand where a lady with impossibly pink cheeks was selling dolls with even pinker cheeks. He gave the woman some money and told Julia to pick which doll she liked and to take her time about it. She looked at him nervously. “Trust me, sweetheart,” he said. Then he stepped away. He had spotted both the hunter and the hunted. The hunter was, of course, another small, bald-headed man with narrow eyes. The hunted was also short, though not quite so short as the Time Rogue. He had dark hair and a sullen expression and he walked around the fairground with a listless gait as if he didn’t care where he was and had nothing to do there. Chrístõ reached into his pocket and withdrew the time eraser. He aimed carefully and squeezed the trigger. The Time Rogue disappeared. He never existed. Then Chrístõ looked at the hunted, and his mind filled with a million ugly images of future events, sickening tortures and cruelties beyond imagining, mass murder. Devastation of whole communities across a continent. A world in turmoil. The man who Chrístõ looked at now. His finger hovered near the trigger of the time eraser. It would be so easy. In an instant, history could be changed – for the better. Then time froze around him, just as it had done in the Cavern. Except this time he didn’t do it. He barely had time to wonder before his gun arm was grabbed. His wrist was gripped tightly until he gave up the eraser to the one who held him. Then his legs were taken from under him by a kick in the back of his ankles. He was pressed down on the ground and somebody covered him with his own body, holding him down. There was a sound very like a TARDIS dematerialising and a rush of displaced air. Chrístõ realised there had probably been the same sound before the time freeze but he had been too distracted to notice. “Can you please let me up?” he asked. Hext stepped back. Then he vanished with the same noise and air displacement. Seconds later the time freeze collapsed. Julia ran to Chrístõ’s side, holding the doll she had chosen, but far more interested in him just now. “It’s probably better that you don’t,” Chrístõ answered. “It’s all over now.” He took her arm and walked away. He glanced just once at the sullen young man who, at this point in his life was living in an unemployed men’s shelter in Vienna and blaming everyone but himself for his misfortune. He was a pathetic figure, if anything. Hard to believe that in another twenty years this man, whose Austrian name, Adolf Heidler became Germanised as Adolf Hitler, would be somebody so many people listened to with such disastrous consequences. Hext was right. There was nothing he could do to prevent the march of history. Even considering it for a few moments had caused ripples that had alerted Hext and the Celestial Intervention Agency. If he had gone any further he could have done untold damage. He heard his name being called. His students wanted to know if the mission was over, if everything was all right now. He smiled at them and told them to get into groups of eight to ride the Reisenrad as the sun went down. After that, they would have supper in the Weiner Prater Gardens, and then back to the TARDIS, and tomorrow they were going to late sixteenth century London to see William Shakespeare.